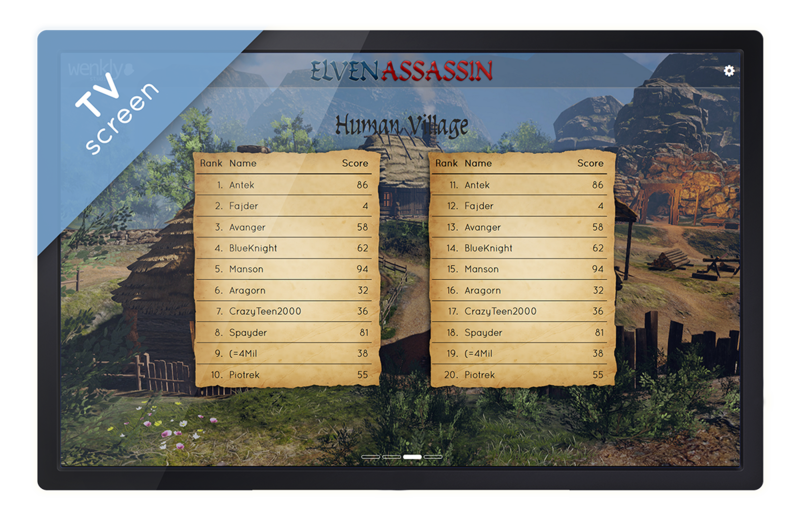 As the Elven Assassin is one of the most played games in VR parks, a custom version was created to further adjust the game to the needs of VR Arcade operators. Set up a local server for your park so your clients will not waste time searching through the lobby. Don't let anyone spoil the fun of your customers. Don't confuse your customers with progression left by previous player. All needed information presented in simple way every launch. 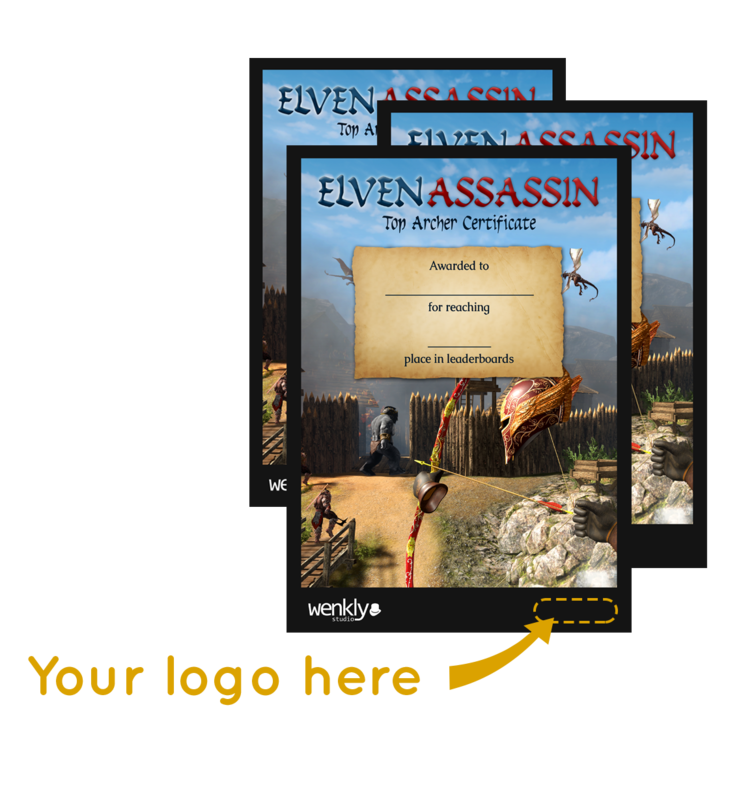 Download and use the posters to promote your park and Elven Assassin game. b) gives you a great way to provide entertainment on events like birthday parties etc. 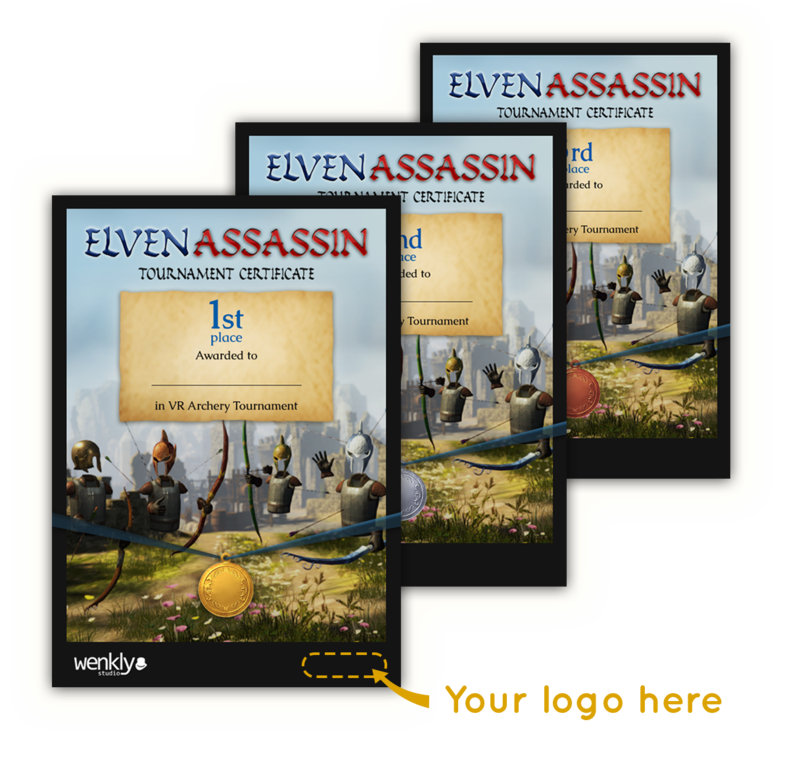 Award the winners with HQ tournament certificates. We left a place for your logo to promote your park. 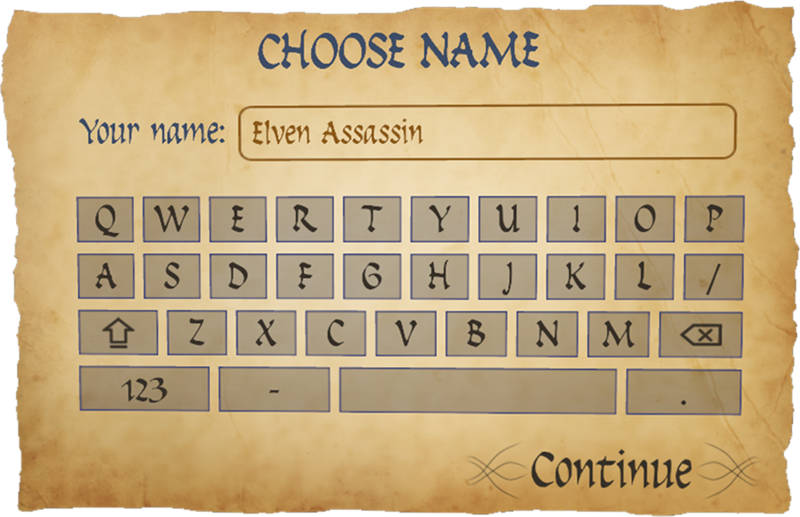 The player can input his own name or accept a randomly generated nick to speed up the process. 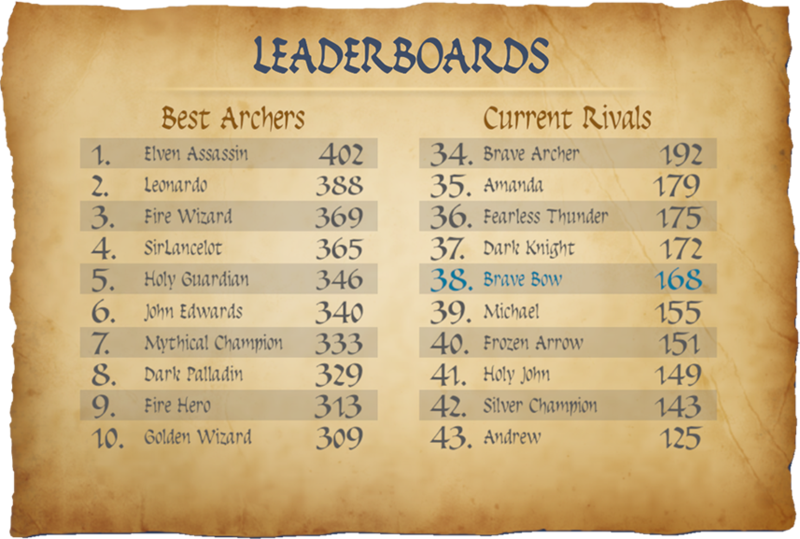 This leaderboards are local to your park so it's a huge drain for new customers who wants to beat their friends score. which we created for you. 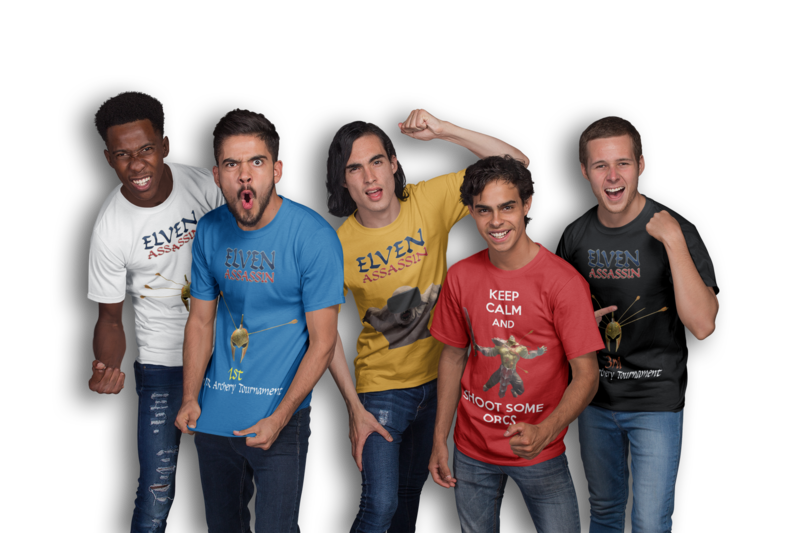 Increase your revenu by selling Elven Assassin branded items like T-shirts, hoddies and mugs in your VR location. No matter the size of your VR Arcade location you can do it! ..Or attract even more customers by awarding the best players or tournament winners with superb prizes which we created for you.